Nexen’s through-shaft, air-to-spring clutch-brake is the ideal solution for repetitive start/stop conveying applications. The LSCB combines the features of the LSCC clutches with a small spring engaged brake to stop the shaft from coasting. Mounted on the roller shaft of an accumulating conveyor, LSCB clutch-brakes provide positive stopping and holding. Nexen’s splined hub design assures full brake torque to the system. Both clutching and braking components utilize the same piston to eliminate simultaneous engagement.  Because the clutch release springs also serve as the brake engagement force, the brake automatically engages as the clutch releases for fast, dependable stopping and holding. Motion control on material handling conveyor systems. Shaft diameter: 20 to 38mm; 0.875" to 1.500"